The emphasis is on Participation and Fun. 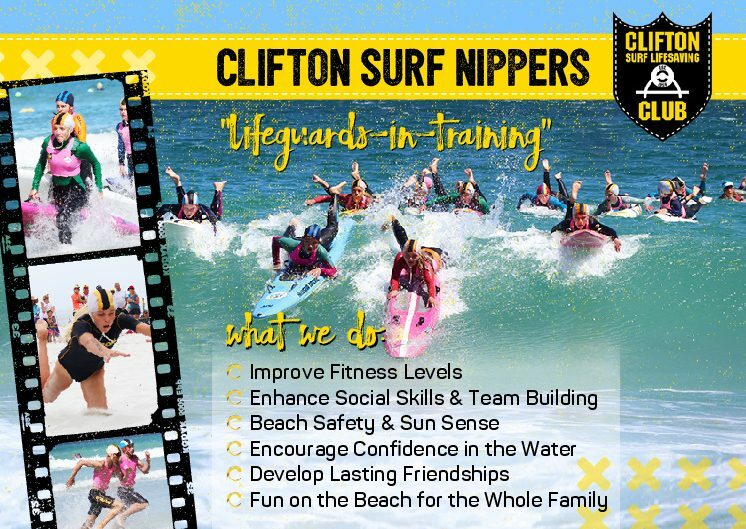 Activities include surf safety and first aid, swimming, body board paddling (U10 and U12), knee board or Malibu paddling (U12 and U14), and beach activities: beach running, relays, sprints and flags. Clubs participate in Inter-Club, Provincial Championships, and National Championships and everyone who has passed their Level Award can take part. SOME QUESTIONS WE GET ASKED! How old do I need to be to become a Nipper? 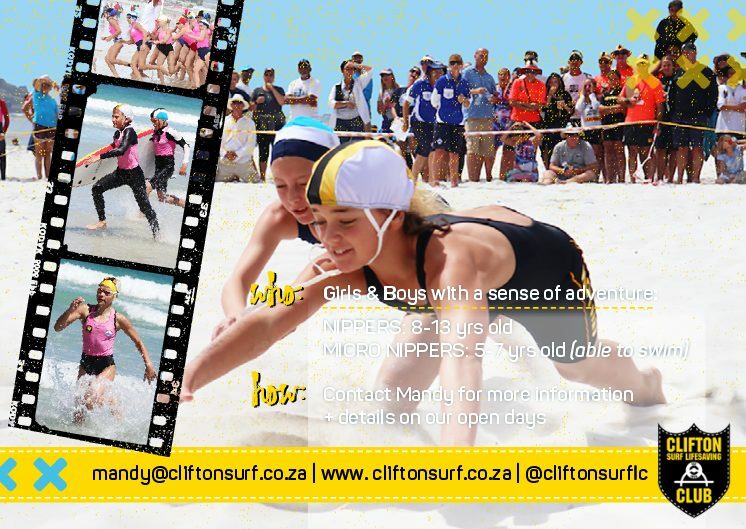 Nippers are aged 8- 14 years old! but if you are younger you can join Micro Nippers where you do not do a Pool Test or the Awards. You can't enter competitions but we organise an Inter-Club Micro Nipper Fun Day every year for you. Micro Nippers are taught water safety and the coachers start to prepare you for the Nipper programme with similar exercises and disciplines. How do I become a Nipper? 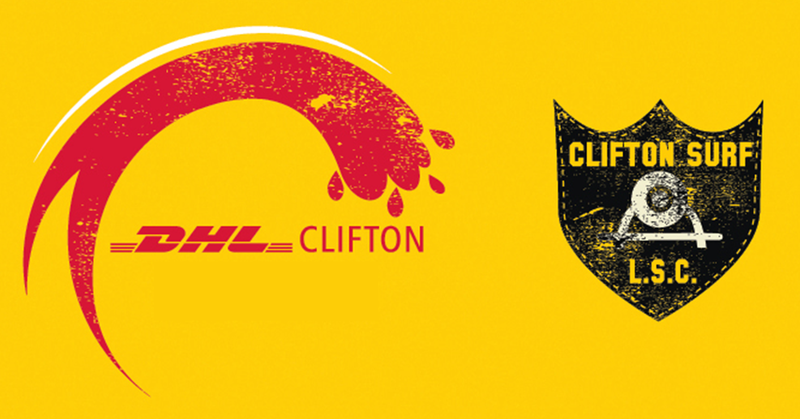 You first need to attend a trial day or open day and join Clifton Surf Lifesaving Club. This involves filling out an Annual Membership Form, paying the season’s fees and supplying the Club with a copy of your Birth Certificate or ID. You will also need to do a Pool Competency Test every year. This is for both competency and safety but is also essential if you wish to enter competitions.After passing this test you are eligible to do the Nipper Level Awards and participate in the Competitions (Carnivals). This is all really easy to do and the Carnivals lots of fun and you get to meet kids from other clubs. Do I have to compete in the competitions? No! If you do not want to compete in Competitions you do not have to, but you will still have to complete the Level Awards for safety and fitness reasons – you can just be a ‘fun’ member and participate in all the training and intra-club activities. How do I know which age group I belong to? Your age group is worked out by the age that you are on the 1st October 2016. But you can also have a look at the table at the bottom of the page! No, we encourage our Nippers to make use of the club equipment with permission and under supervision if you are not with your coach! Equipment can be used as long as it is always washed and properly packed away after you have used it!